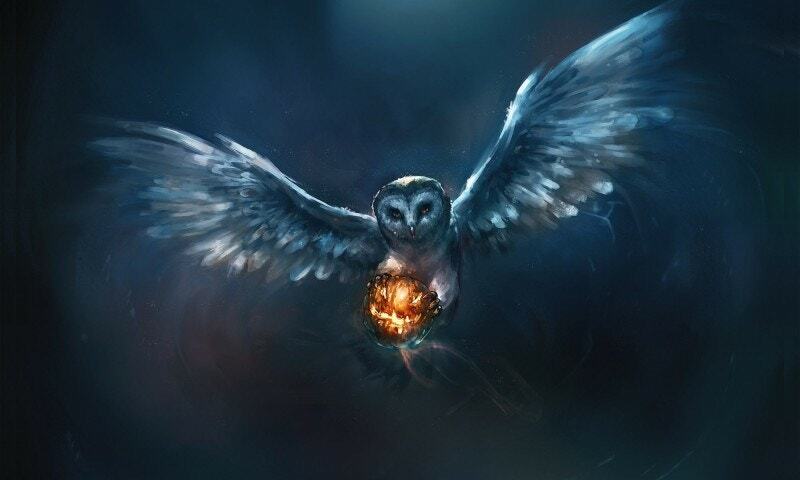 Below are some unique handmade Owl artworks. A few of them are even in 3D format. Others were made up of wood, marbles, pebbles, twigs, and much more. You can put them as home decors for hosting events and house warming functions. Here they are available in the links provided below (if they are for sale). Check the links posted. These are something for art aficionados. 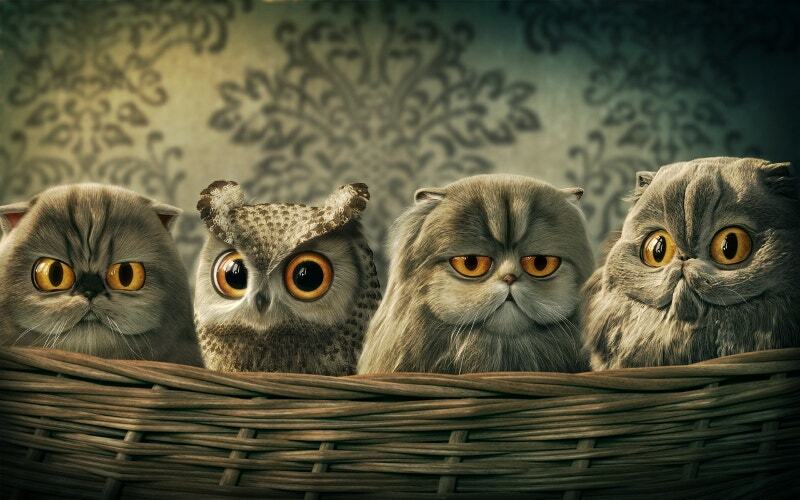 We are sure that the cute works will not disappoint you. 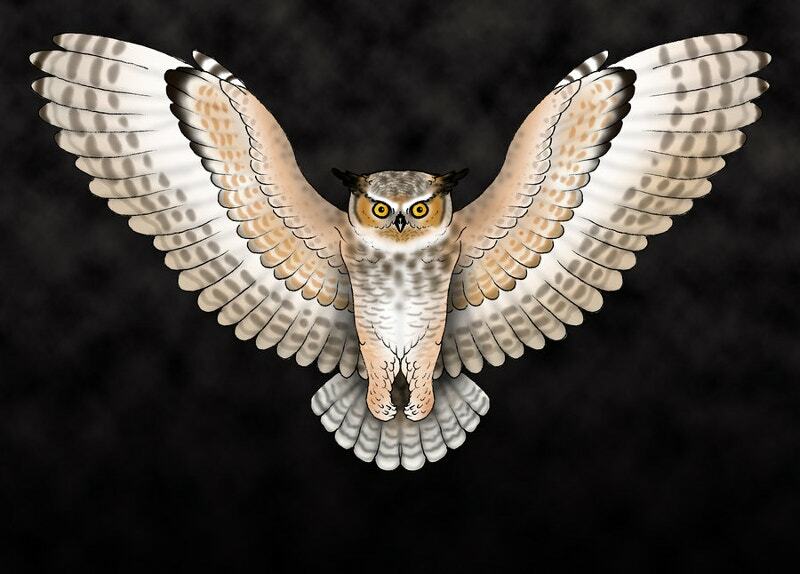 You can put this Owl Painting Artwork HD wallpaper for your desktops and laptops. 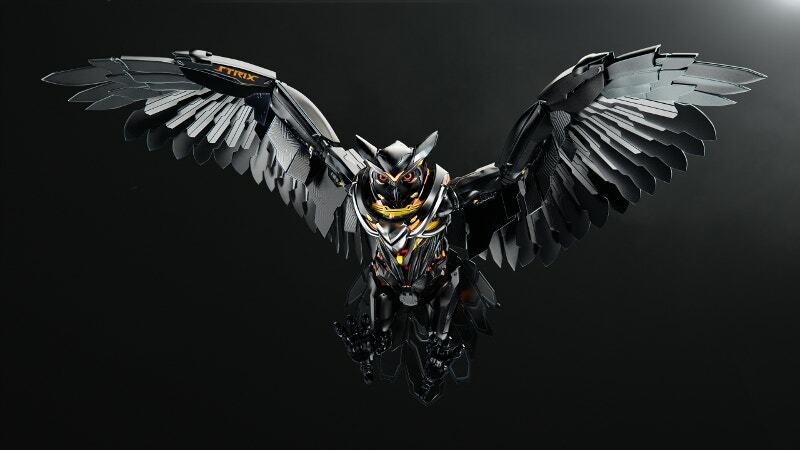 This comes in various sizes such as 1280×720, 1366×768, 1600×900, 1920×1080. The mobile VGA sizes 320×240 while the iPad version of it sizes 1024×768. 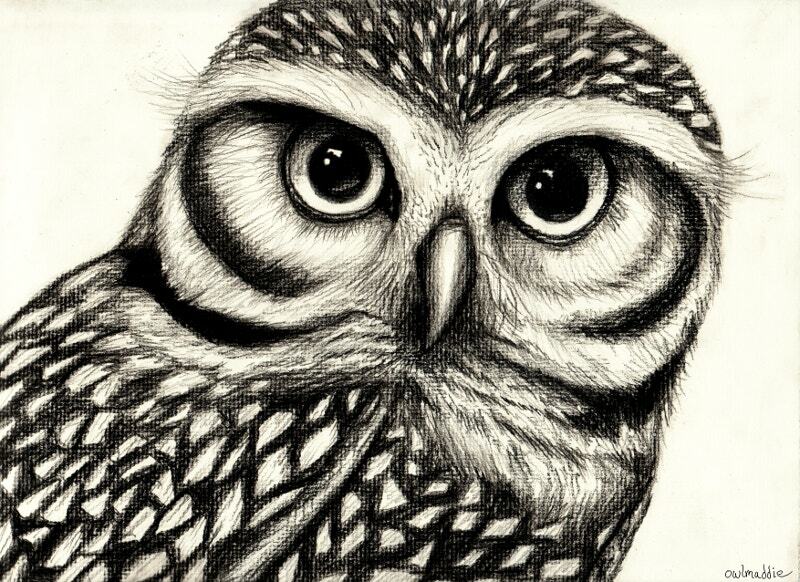 Another Bird art drawing. 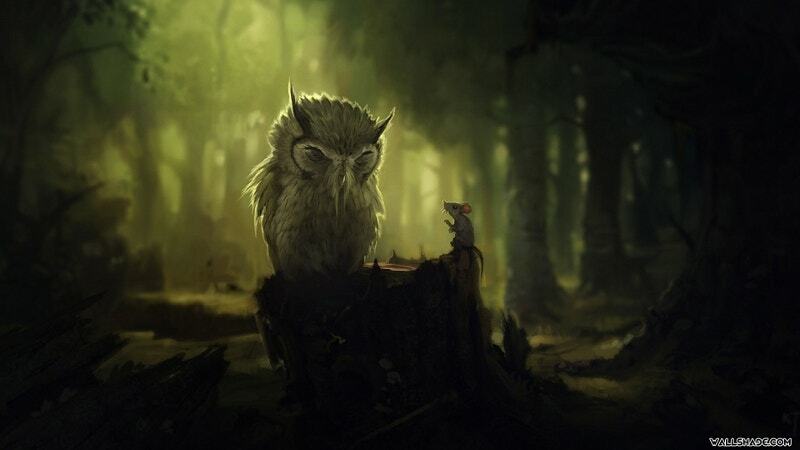 This Forest Owl Artwork is absolutely free. You can even make this as your relax-button. Time to brush it out. It’s slightly tedious. But you can enjoy every minute of drawing it. 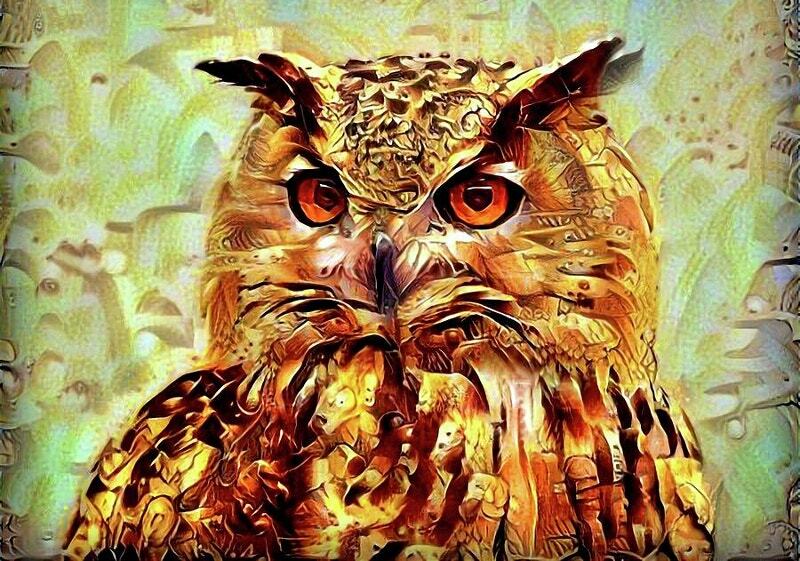 This Lomo Owl Artwork is a gifted 3D painting for both Windows and Mac users as it works on both the Operating Systems. Set this as your wallpaper now. Because sometimes, later becomes never. 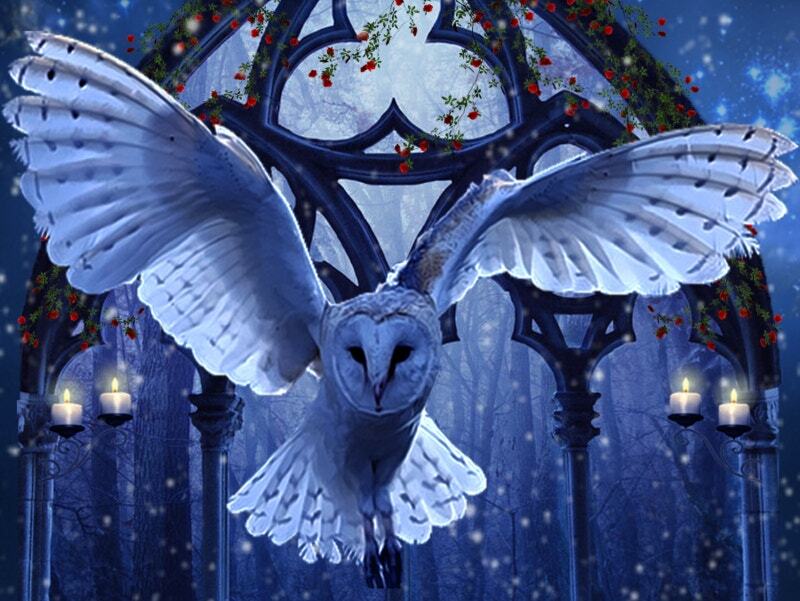 The artist of this “Owl of Winter Art” admitted that he got inspired by the poem “An owl came to me, old and wise pierced right through my youth, I learned it’s ways, envied its sense, But needed nothing it had”. 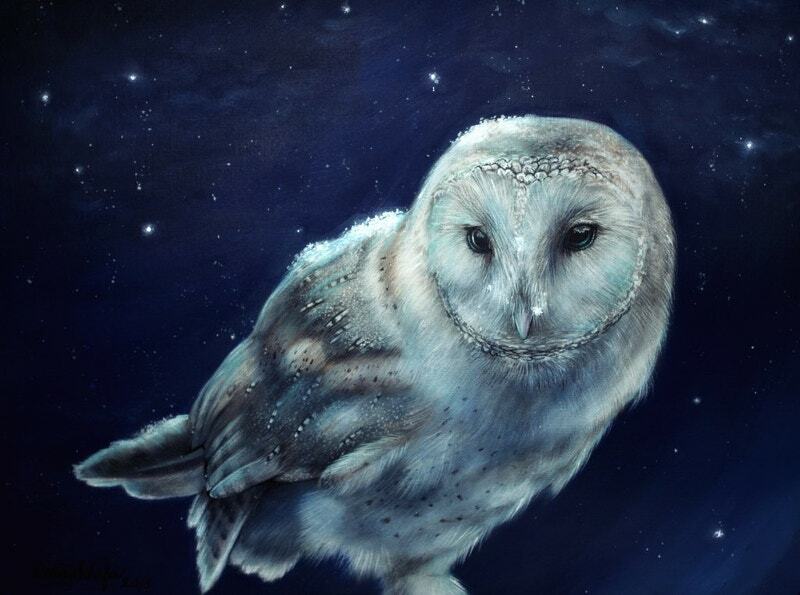 This is a new owl in the art corner. 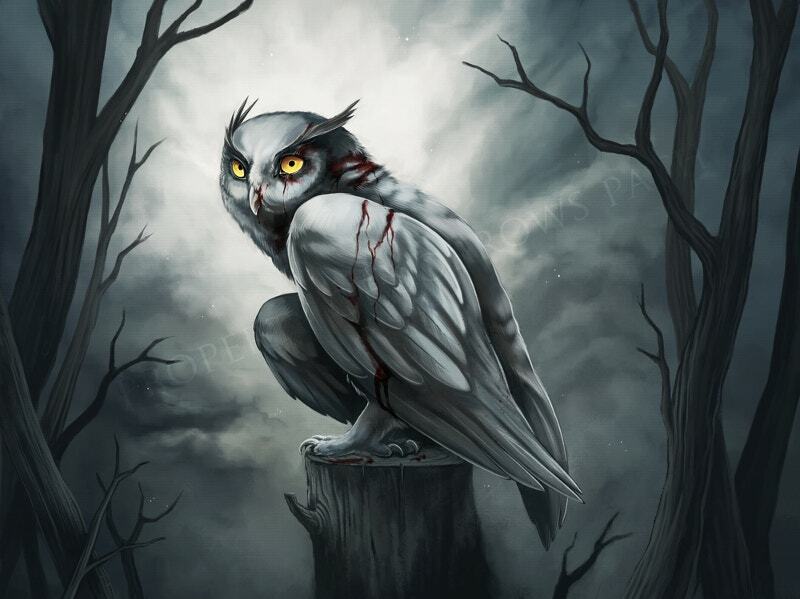 This Beautiful Owl Artwork sizes 2048×1152. 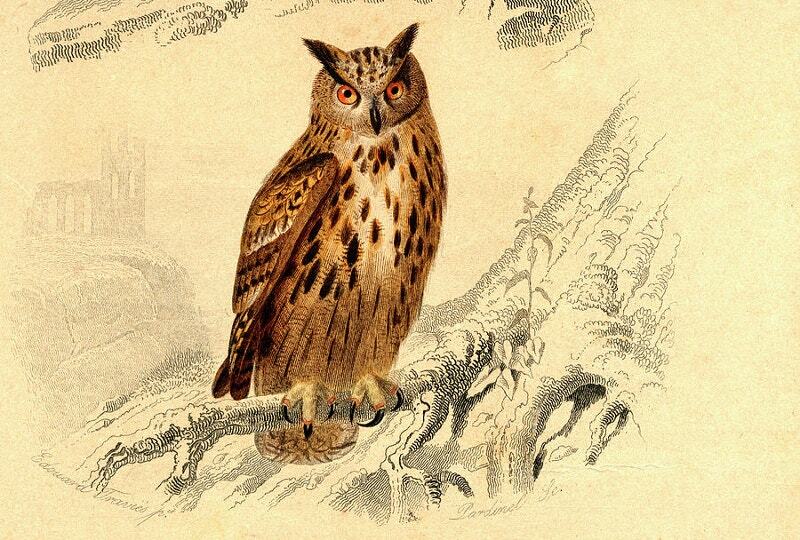 If you are an owl artwork lover, add this to your collection. You can even prepare random doodles by this artwork. 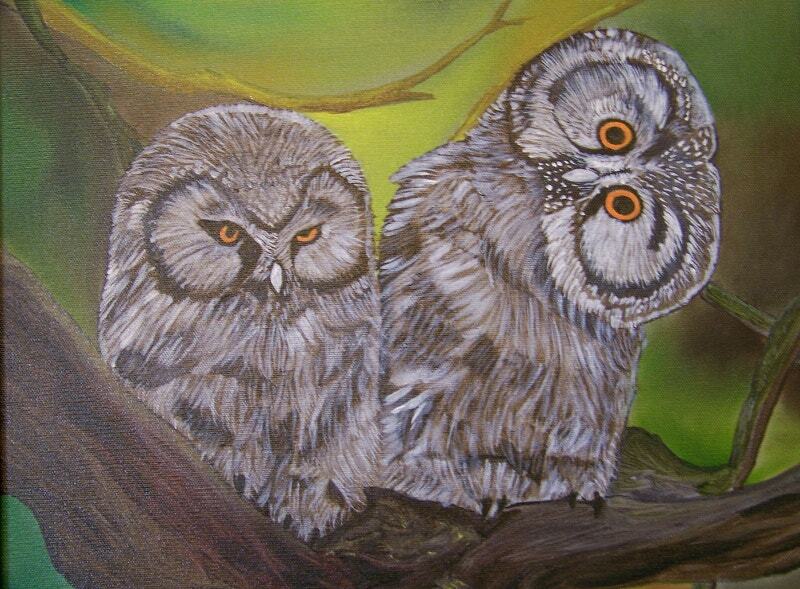 This Owl Artwork is a part of the artist’s exhibition of the TWASI Wildlife Art Society. 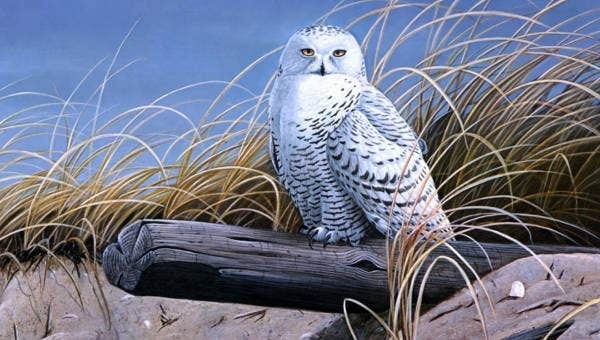 Later he was informed that one of his paintings was awarded in the Bronze category at the ‘Nature in Art’ museum in Gloucestershire/UK. A huge success indeed. Isn’t it? 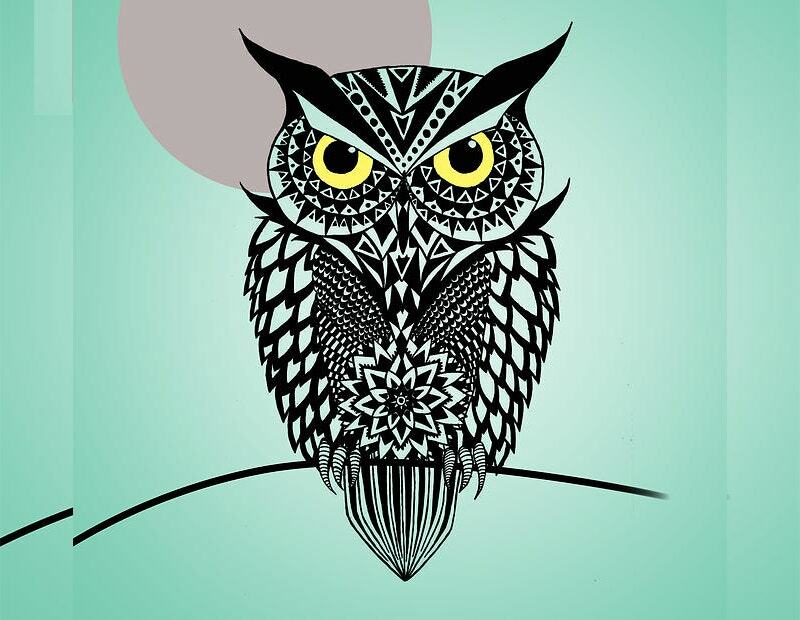 Owl is a piece of Digital artwork by Lilia D which was uploaded recently. We don’t know if it has been done using Acrylic or oil. 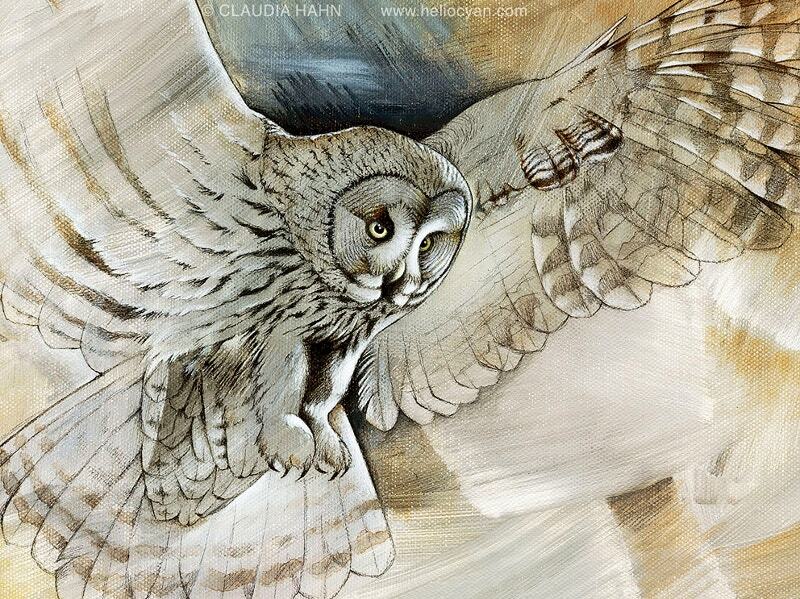 But it is more expressive with stronger details and shadows. 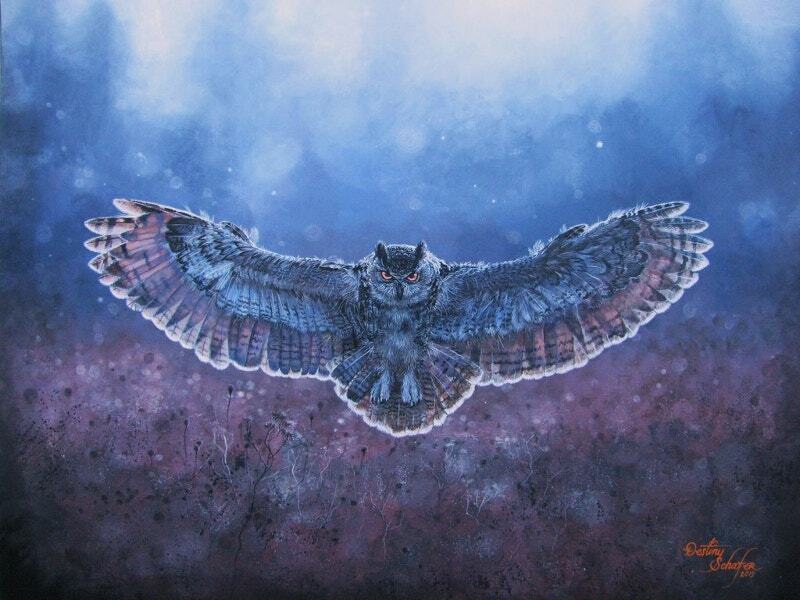 This Owl Painting on Black Background looks like it is coming out of the canvas. Make this as your instant favorite. 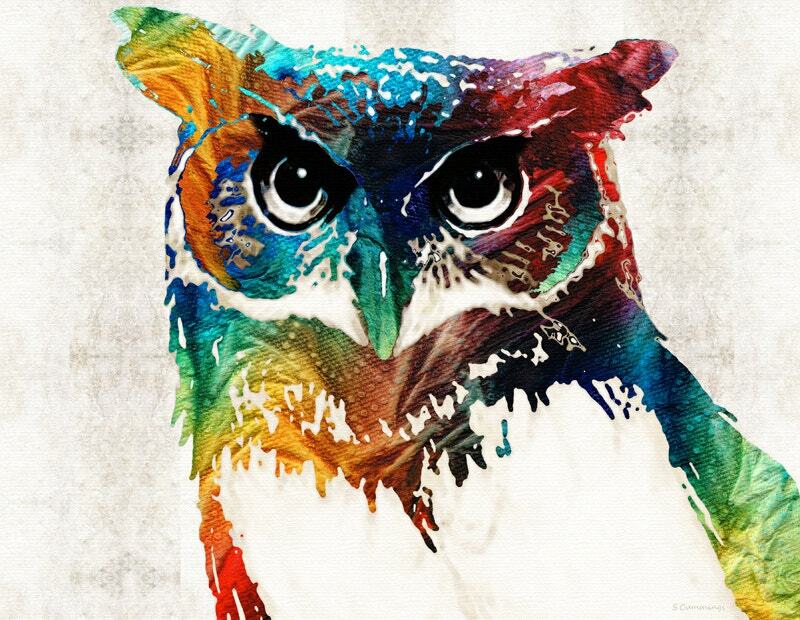 Mix all sorts of media to get something like this.